Digital marketers talk of earned, owned, and paid media — when others tell your story via their preferred channels (earned), when you maintain the platform or channel (owned), and when you exploit others’ channels to get the word out (paid). Some DMers split out shared as a fourth species, effectively the amplification of earned/owned/paid messages. There’s lots of marketing science behind this analysis, from researchers such as Forrester (image at right) and marketers, advertising mavens, and platforms. Search for yourself; my interest at this moment is elsewhere. It’s on application of the e/o/p(/s) concept to an important aspect of consumer behavior, to loyalty. 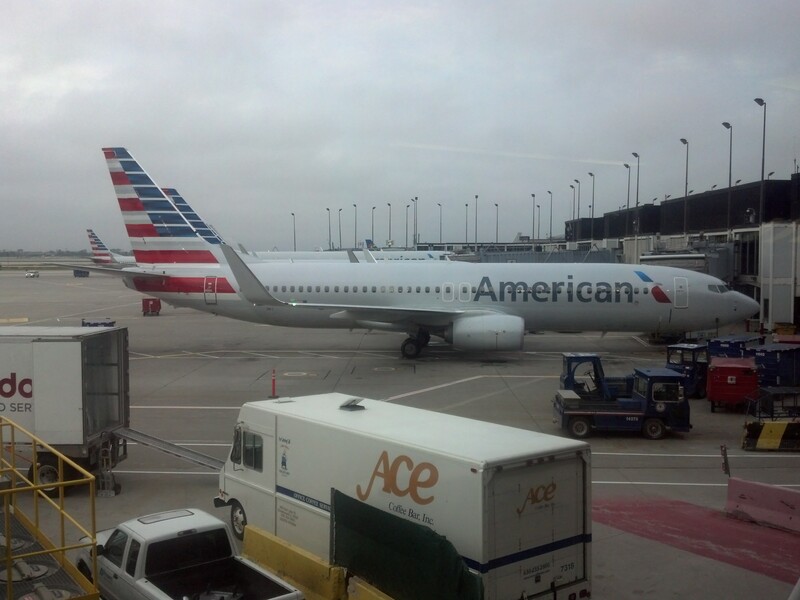 I’m writing this article while in transit, from O’Hare Airport. In thinking about my travel experience, I’ve realized that the e/o/p(/s) categories do indeed work well in describing customer loyalty! Owned loyalty — lock-in — stems from lack of (practical) choice. I had a one-stop outbound flight because a non-stop would’ve meant using an airline other than American (or partner), at an exorbitant ticket cost. Flying AA’s fine with me — I’ve done it often — and I’m sure that the Phoenix Airport has many hidden charms that weren’t visible during my stop-over, but I sure would have preferred a non-stop flight. My loyalty to AA was owned. I earned advantage loyalty-program miles for American flights, but like others who fly only a few times a year, miles don’t trump schedule or ticket price when I choose flights. But some of my friends fly A LOT and have earned status, status that promises upgrades. Loyalty-program miles and points — and repeat-buyer discounts, credit card rebates, and other incentives and concessions offered in the face of buyer choice — constitute paid loyalty. Just as earned media is best — the product of doing, saying, or offering something noteworthy — earned loyalty the type we crave. You win earned loyalty by delivering exemplary customer experience — in the form of products, services, and interactions — to create customer satisfaction that freezes out the competition. Earned loyalty may even allow for a price premium, because the customer perceives your offering as that good. And finally category 4, shared loyalty, a concept that has another name, advocacy. It’s one thing to say that you “would recommend” a product or service — Net Promoter polls recommendation likelihood — and another to actually do it. The point is that just as satisfaction doesn’t guarantee loyalty — a happy customer may still choose a competitor’s product or service based on price or convenience — a “promoter” rating doesn’t mean that there will be an actual recommendation. A promoter may not be an advocate. A promoter may not even be loyal. But a loyalist — a repeat buyer — who shares, that’s golden! Reader, does my extension of earned/owned/paid/shared, from media to loyalty, make sense to you? Your comment is welcome! A thoughtful blog post. It is really helpful when concepts like earned/owned/paid/shared or PESO as I have heard it referred, gets illustrated with real world examples. I think your take is spot-on. For me the interesting point is about their relative importance or value. Traditionally there would seem to have been an overwhelming focus on the earned. You make the point that about the value of sharing and advocacy. More need to see and value that in their mix. ← Where Are The Text Analytics Unicorns?